Hair fall is one of the most pressing problems people are facing nowadays and sometimes cause social embarrassment. Have you tried all the expensive brands out there and still can’t find the right shampoo for your hair problems? and the reason will be, not all shampoos are compatible for all hair types. That might be the reason why your shampoo doesn’t seem working and effective. 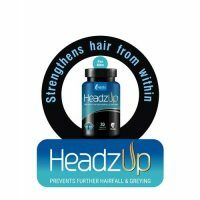 So, in order to solve all your hair problems, TabletShablet brings to you Headz Up products. Formulated by Inventz Life sciences, it helps keep your hair healthy with its nutritional supplements. Enriched with vitamins, minerals and hair biotins, it will strengthen your hair from roots. Hair fall is the most common hair problem in both men & women. On average, a woman loses up to 50 strands of hair daily. But if this count is more than 50 strands of hair, then you are into the category of hair fall and should be alert. There are a variety of medicated hair care products available in the market but not all provide good results. There are a lot of reasons for hair fall, some of the most common are pollution, stress, improper diet, and lack of sleep. 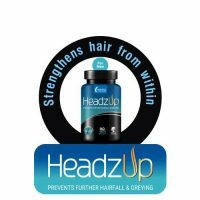 HeadzUp aims to provide effective and innovative health care products, that not only strengthen your hair but helps to get rid of all your hair problems like hair fall and early greying. It has committed to deliver top-notch healthcare and beauty solutions for all people, no matter their circumstance. TabletShablet provides you with the best Hair Care by delivering HeadzUp Tablets, at the comfort of your homes. It’s main ingredient hair biotin, will help the body to naturally produce keratin, the building block of hair follicles, leaving your hair healthy and strong. It provides nutrients to the hairs and scalp and ensures healthy hairs and scalp. 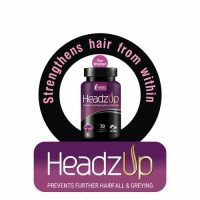 Women hair care products like HeadzUp Women Tablets contains nutrients like Biotin, VitaminC, Niacinamide, etc. The elements like Vitamin C and Niacinamide, which increases the blood flow to the scalp and provides adequate nutrient flow for healthy hair. Zinc in headz Up promotes the growth of new scalp cells. It provides the right amount of essential vitamins and nutrients in a recommended dose. These nutrients help in healthy hair growth and reduce hair fall. It is a perfect solution for your hair fall. 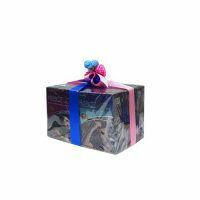 We provide HeadzUp hair care products in exciting Gift Hampers. 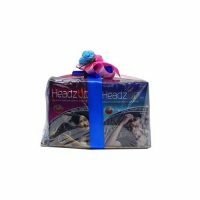 Buy Products like Headz Up Men, Women & Headzup Men Tablets at best prices on our website.